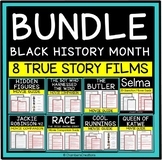 This goes along with the movie, Akeelah and the Bee. It reviews the scenario of the movie and also has deeper thinking questions for your students. 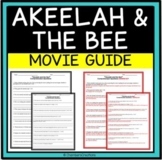 Akeelah and the Bee Post Viewing Bundle! Eight analytical questions designed to keep students thinking. Ideal for middle and high school students. This product is a follow-up question guide for the movie, Akeela and the Bee. It is a great resource for high school Family & Consumer Sciences classes and community college classes dealing with families and communities and education. 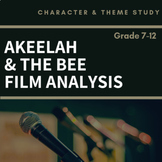 A viewing guide for Akeelah and the Bee (2006), aligned with NYS CCSS ELA 9-10 standards. Includes references to Langston Hughes "I, Too, Sing America" and Walt Whitman's "I Hear America Singing." 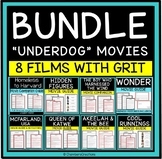 Perfect for sub plans or extensions of the EngageNY Modules for 9th grade.